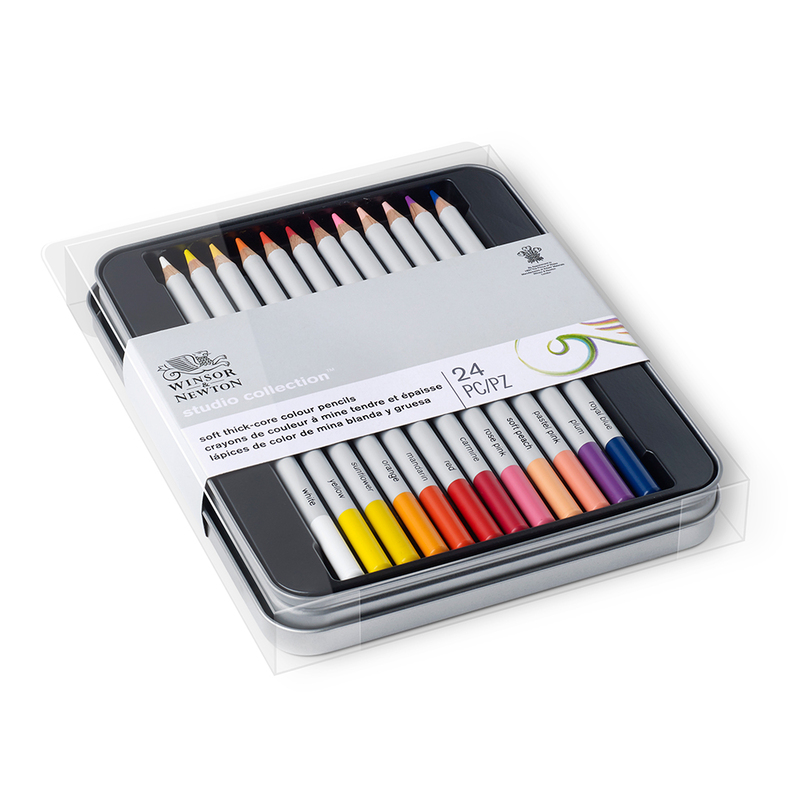 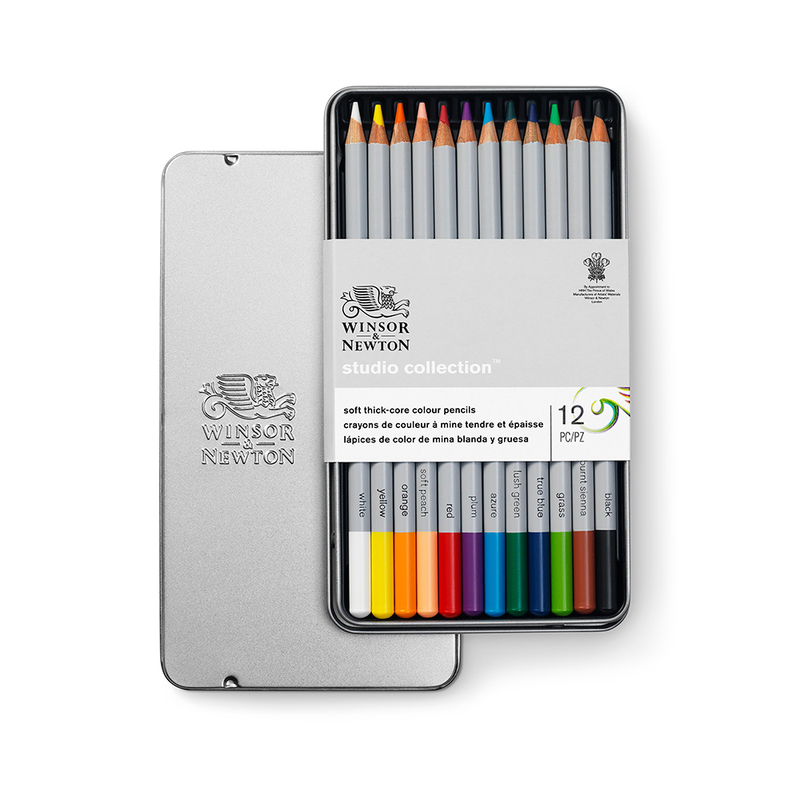 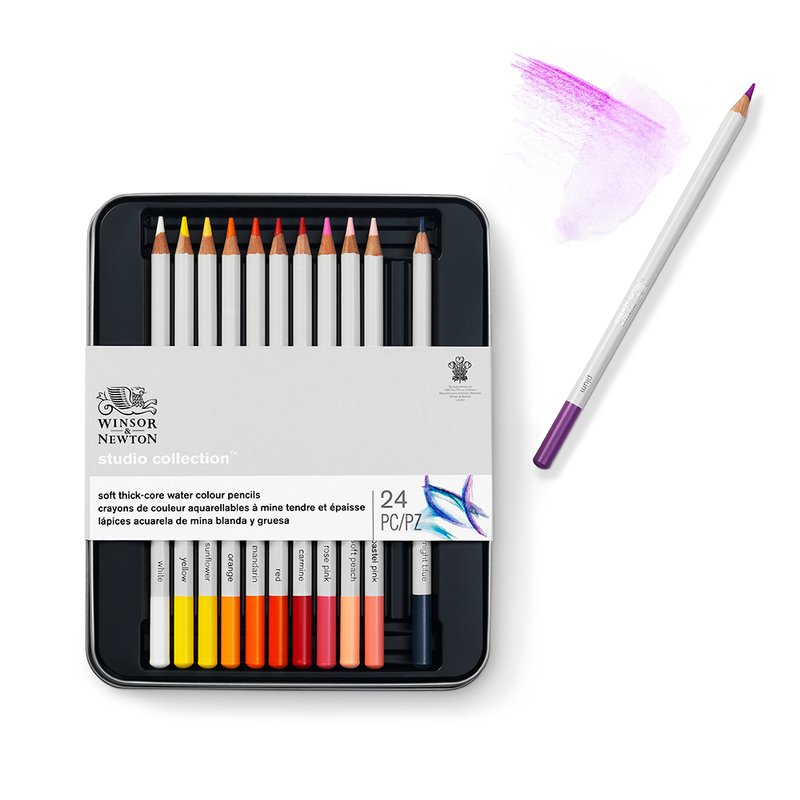 Winsor & Newton Studio Collection Soft Thick-core Coloured Pencil Sets provide collections of coloured pencils in a balanced spectrum of hues, that can be used to add colour to your sketches whether you are in the studio or working on the go. 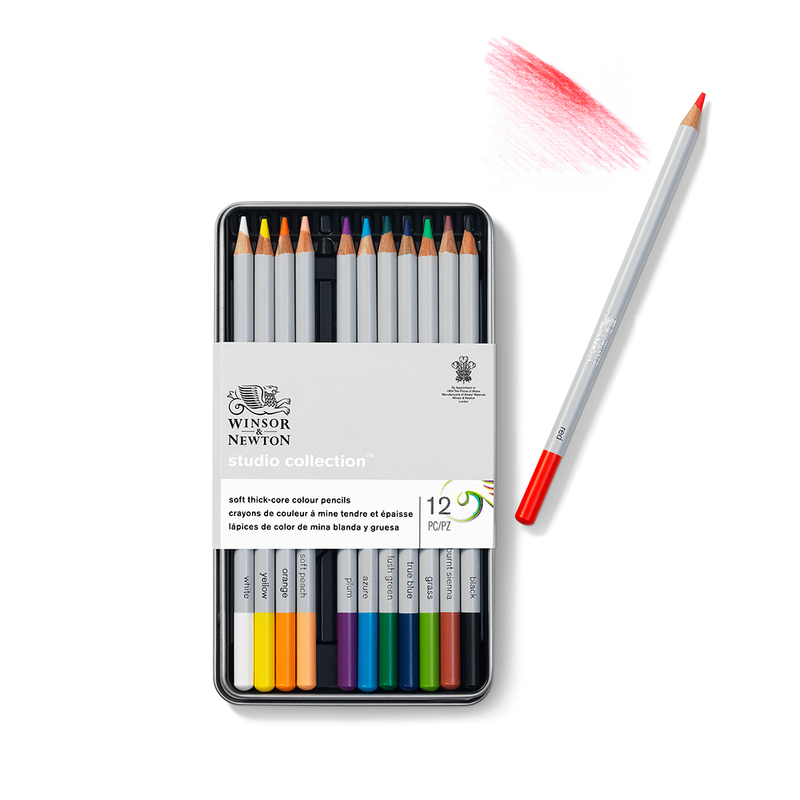 These thick-core coloured pencils allow you to add wonderfully rich, vibrant colour with ease. 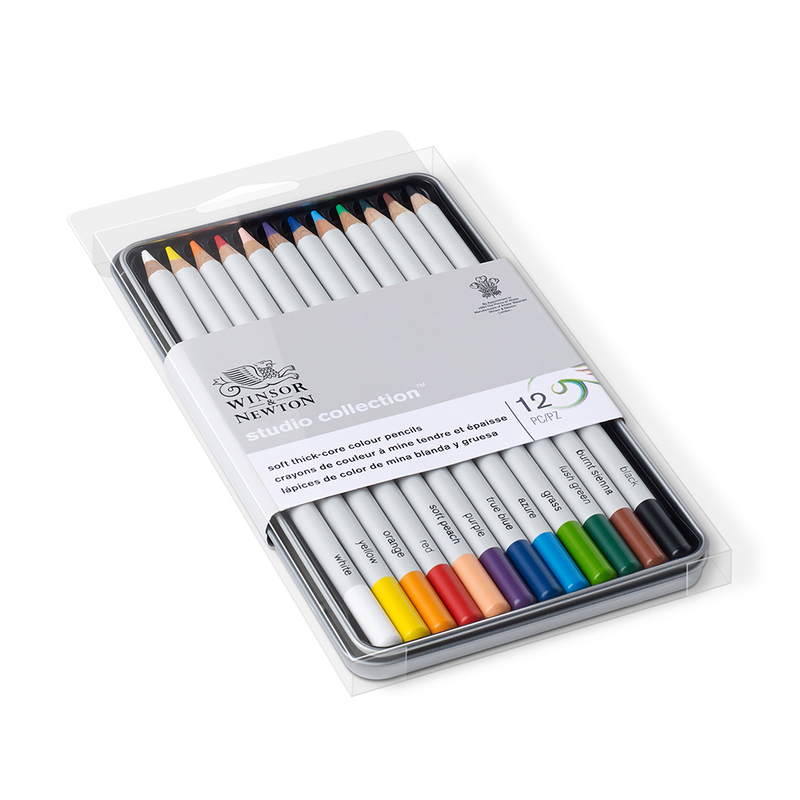 Their high-quality leads are durable and responsive; a soft texture allows colour to be laid down smoothly while also being strong enough to withstand considerable pressure. 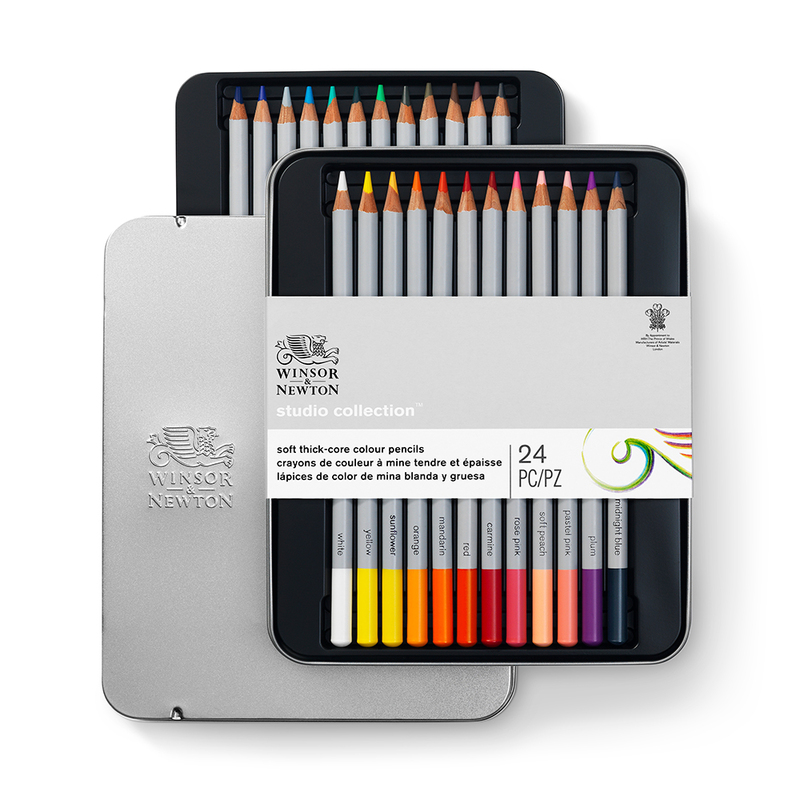 These pencils are highly versatile and can be used for a variety of techniques, no matter whether you are building up multiple layers of colour or working on the most subtle shading. 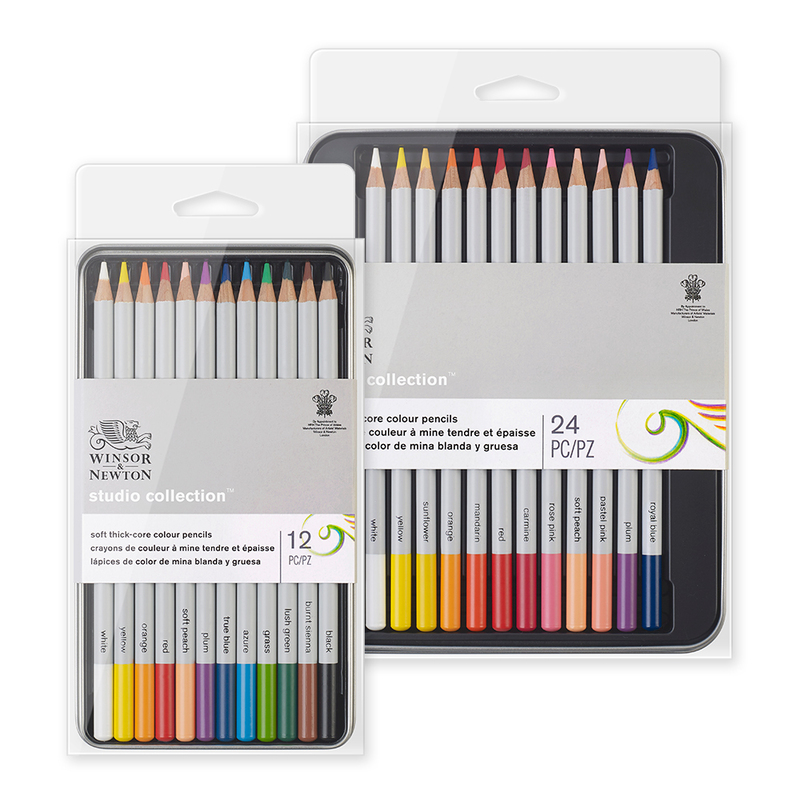 They will retain their point excellently and can be easily re-sharpened to a precise point when worn down.